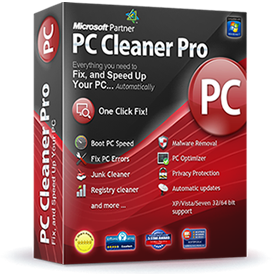 PC CLEANER PRO 2013 11.8.13.9.6 FINAL adalah software utility untuk mendeteksi masalah dalam sistem operasi windows sobat. dengan fiture registry cleaner, internet optimizer, boost psc, uninstall manager, dan sebagainya software ini mungkin dapat menjadi pilihan alternatif software untuk mengoptimalkan pengoperasian sistem operasi windows sobat yang terasa mulai lemah karena banyak sampah, dan registry yang tak beraturan serta hal lain yang tidak bisa kita cari secara manual . In using a computer from day to day you're going to accumulate system clutter. You can significantly increase your PC performance & stability by removing these files. This feature lets you easily uninstall applications that you don't want you your computer. Many ActiveX controls are actually beneficial, but malicious programs frequently use ActiveX controls in order to embed themselves on your system through browser security exploits or compromised security settings. PC Cleaner's definition database contains a comprehensive list of malicious ActiveX objects, which will be automatically loaded to the blocked list. This file is updated continuously by our definitions team. PC Cleaner Duplicate File Remover will easily find and remove duplicates and help you reclaim valuable disk space and improve data efficiency. Duplicate files are in most cases redundant and unnecessary, so keeping them is merely a waste of hard disk space.